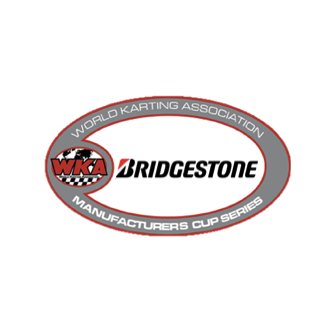 Encompassing more grass roots racing, WKA announced today that the Briggs & Stratton 206 Senior CIK Class will be added to the Bridgestone Manufacturers Cup Events at Charlotte Motor Speedway, June 21-23 and Daytona Kart Week December 28-30. “With the huge success we saw in Daytona in our Briggs Cadet Class, we have been thinking of ways to bring back more of the popular Briggs 206 Categories into our National Programs,” stated WKA President Kevin Williams, “And while plans are still being developed, adding the Senior CIK class to our Charlotte and Daytona events was a no-brainer start towards that goal. More details regarding the Charlotte event and will be available at www.worldkarting.com, very soon. Come celebrate the 2018 race season, the award winners & have some fun with your friends! pumpkin cheescake, bourbon bread pudding, apple pie and homemade cobbler. Kid's Meal (age 10 or under): Chicken Fingers, Vegatable and mac and cheese. The Plaza Resort & Hotel also has special promotions for WKA members. If you would like to stay at this hotel, feel free to contact them directly with the information below and book your stay. Call 1-855-327-5292. Special Rate Code:"WORLD KARTING 2018"
CONCORD, NC- With much anticipation surrounding the for the Maxxis Tires Daytona Dirt World Championship, WKA is pleased to announce Class Structures, Payouts, and Prizes for its 2018 Event. To see the class structure and prize information, CLICK HERE. As with all WKA National Events, WKA membership will be mandatory to race in the event. As a “welcome back” offer to the Dirt Racers, WKA will offer a special pricing promotion for new and existing renewing Dirt members. For new and renewing WKA Members, a special $15 discount will be offered, provided the member submits their application via Phone, Mail, Fax or email by October 31st, to the WKA Office. Taking advantage of this early discount will help expedite members’ registration process for the event in December. To view and print a membership application, CLICK HERE. Stay tuned for more information to be announced on November 1st, when Entry blanks, Sponsorship opportunities and parking will be released. RUNNING ENGINES WHILE KART IS ON STAND: Engines may only be run on kart stands in their assigned pit areas. They may not be run on the stand outside of the assigned pit area or while being rolled through the pits. Engines may be started on the grid when the karts are on the ground and the grid steward gives permission. This will be about one minute before the karts are allowed on the track. WKA MEMBERS ONLY IN TECH AREA: All persons present in the engine tech area must be WKA members. ENGINE TAGGING -- All engines running in the WKA Man-Cup competition must be sealed using the official WKA engine seal. Any modification, tampering or attempt to violate the spirit and intent of the engine tagging system will result in immediate disqualification. Said infraction will be reported to the board of Trustees and may results in further disciplinary action. All bolts and nuts involved in the sealing process must be thru drilled. Holes should be 3/32” minimum in diameter and should be de-burred or chamfered on the edges to avoid damage to the wire sealing device. The wire must pass through BOTH sides of the nut or bolts being used. CONCORD, NC - The World Karting Association is proud to announce their partnership with VEGA Tires for the 2017 Daytona Dirt World Championship. Vega MCS Yellows both thick or thins will be the approved spec tire for the Flat Track at this year’s Daytona KartWeek. The engine rules will be the same as last year and keeping with No porting and polishing of heads. For further reference please refer to the 2018 WKA Tech Manual. Concord, NC- As Daytona KartWeek is quickly approaching, the World Karting Association’s office staff is working hard to guarantee that everything is ready for Karting’s greatest tradition. WKA and Daytona International Speedway understand the flat track conditions have been less than ideal. WKA and the Speedway have made big strides to improve the track this year. Everything is falling into place; both parties have secured all equipment needed to improve last year’s track conditions. WKA has hired a full time experienced track advisor to oversee and maintain the track during the entire event. Starting December 10th, the Speedway will begin the rebuilding process, to ensure the quality of the dirt track is where it should be for our competitors. Keep your eyes on updated Pit Boards, as the office staff is close to finalizing entry blanks! CONCORD, NC - Beginning with the first race of the 2018 season in Daytona, December 27-30, 2017, WKA will be introducing a tire distribution system for all their Manufacturer's Cup Series events. 1. This eliminates any rumors about tires that may have circulated in the past. 2. It serves as a small profit center for our organization. WKA is a company that operates on a daily basis with full time employees, overhead and obligations that we incur daily. The race tires for each event will be included in your entry fee. Your Race tires will be available for pickup during registration pick up at each track. Racers will still have to supply their own practice tires. The Micro Swift, Mini Swift, and Yamaha Sportsman racers that raced at The Grand Nationals at Go Pro, still will have to pay their entry fee that includes one set of race tires but for the Daytona event you will be given a free set of practice tires that you will pick up during registration pick up courtesy of Bridgestone. Shortly, WKA will be introducing a new bar coding system for tires, engines and chassis which will make the WKA racing experience as simple, smooth and enjoyable as possible for all competitors from initial registration thru on track activities. The Manufacturer's Cup online registration and paper entry blank are now posted on the website. To be taken to the online registration, CLICK HERE. To be taken to the entry blank, CLICK HERE. Thank you for your support of the WKA and hope to see you during the 2018 season. CONCORD, NC - Per the WKA Board of Trustees Meeting in May of 2017, beginning with the season opening Manufacturers Cup Series event at Daytona in December, the IAME Junior Restricted Header Size will be changed to 26mm. The 29mm header that was used in the 2017 season will no longer be valid. Additionally, for both the IAME Junior and Senior classes, the only spark plugs that will be accepted are the NGK-6252K-105 and the NGK-6254E-105. The only exception to this is for a declared rain event, in which the NGK-B10EG and NGK-BR10EG are also acceptable. CONCORD, NC - With December flying by at a rapid pace, competitors who have yet to submit their entries for the latest edition of Daytona KartWeek are reminded the pre-entry deadline for all 3 series, including the WKA/Maxxis Dirt World Championship, the Bridgestone Manufacturers Cup Series, and the Dunlop/ Xeramic National Road Race Series, presented by Russell Karting, is just 1 week away, December 14. Competitors have until that point to take advantage of the pre- entry pricing, before the At Track Pricing kicks in. Entries have been pouring in at a record pace, with Road Race Entries already exceeding those of last year, as well as Mfg Cup, and the highly anticipated return of Maxxis Tires and the optional Tri State Series points deal to the Dirt Track, with sponsors and entries still coming in daily. With just 1 race per season at present in the Dirt program, competitors are required to fill out a Temporary WKA Membership Application, at a cost of $25. While the registration window will be manned by 4 workers at Daytona on Parking Day, WKA, in an effort to keep the lines flowing, and down as best as possible, are urging competitors who need to sign up as a member, to take advantage of the Membership Application in advance of the event, and download the application, which is available on the Speedway Dirt Series site, fill out, and return to the WKA Office. This will allow for a much better start for all competitors for the latest edition of Daytona KartWeek. To view the Membership Application for Dirt, CLICK HERE. To view the Dirt World Championship entry blank, CLICK HERE. To register ONLINE for the Mfg Cup, CLICK HERE. To view the Mfg Cup entry blank, CLICK HERE. To view the Road Race entry blank, CLICK HERE. CONCORD, NC - With activities well inside of a month for the latest edition of Daytona KartWeek, scheduled for December 27-30, sponsorships for all 3 series are rolling in at an expedient pace, including the latest edition of the WKA/Maxxis Daytona Dirt World Championships at the World Center of Racing. Among the many sponsors retuning to the famed dirt event include Ultramax Racing Chassis, sponsoring the $2,000 to win Semi Pro Stock Heavy class on Day 1. Also back is BDL Motorsports, sponsoring the $2,000 to win Pro Super Stock Heavy class. MC Motorsports is returning for another season as sponsor of the Pro Junior 3 Stock Heavy class, with $1,000 on the line for that class on Day 1, and a $2,000 to win payday on Day #2. WKA also welcomes back longtime supporter Scott Davis of Davis Poultry Equipment , as well as Jonathan Cash of P and P Speed Shop as additional sponsors. In addition to the early sponsors signed up, many vendors are already on board to attend the event, making sure competitors have all their needs met at the track. Those vendors include TS Racing, Competition Karting Inc, and Larry Jones Motorsports, with a few others looking to join the list. To view the WKA/Maxxis Daytona Dirt World Championship Entry Blank, click here. 2017 WKA Manufacturers & Winter Cup Updates, Awards Banquet, and Daytona Race entry NOW ONLINE! CONCORD, NC - While the 2017 version of the Bridgestone Manufacturers Cup Series Schedule was released months ago, WKA Officials have finalized all the venues and dates heading into the new year. While the Manufacturers Cup Series has maintained its original 5 race schedule, the schedule for the WKA Winter Cup Series has been modified, based on scheduling challenges with competing series. To provide customers that run multiple programs as much of a break between races as possible, the very successful 3 race winter program, now entering its second season, has adjusted its dates and venues, with stops in Daytona, Jacksonville, and Ocala. Following a return to impressive numbers in 2016, the Bridgestone Manufacturers Cup Series, as always, will begin the season at the World Center of Racing, Daytona International Speedway December 27-30 for the Margay Sprint Nationals. The event, as was the case last year, will also be counted as the first WKA Winter Cup program for the new season. The next Manufacturers Cup event will then take the competitors to the Pittsburgh International Race Complex in Wampum, Pennsylvania May 19-21. The series will then head to its traditional mid-summer stop July 14-16 at New Castle Motorsports Park in Indiana, with the August venue becoming another trip to the Midwest August 25-27 at the newly renovated Briggs & Stratton Raceway Park in Dousman, Wisconsin. The finale will bring the racers to Mooresville North Carolina. Champions will be determined at GoPro Motorplex at the season ending Grand National event October 13-15. Competitors will be able to count their best 8 of 10 finals for the Man-Cup series in 2017. On the Winter Cup side, once the program departs Daytona in December, the series will head to 103rd Street Sports Complex in Jacksonville, Florida February 24-26, with the finale scheduled for March 31-April 2 at the Ocala Gran Prix facility making this an all Florida Winter Cup in 2017. There will be NO DROPS in the Winter Cup program, competitors will count 6 out of 6 finals. Lo206 Senior (CIK Body Work and Man-Cup Chassis Rules) has been added to the Manufactures Cup filling the void left by Kid Kart. This class with the its huge growth in the Midwest and the North Carolina area should make for a very good addition to the Manufacturers Cup class structure. On a technical note, Yamaha Junior, starting in Daytona will have new size rear tires. The WKA Trustees voted back in mid-2016 to change to 7.10 for the 2017 Season. There are no other changes for the class. A new addition to the Winter Cup Class Structure will be the local option ROK Senior Shifter Class. The package is strong in the state of Florida, so the WKA Trustees wanted to give this class an opportunity in the WKA series. This will give the local Florida racers the chance to bring their ROK Shifter equipment onto the Daytona Karting track for the first time and then compete in Jacksonville and Ocala, tracks that they are very accustomed with. The Class will follow the ROK Cup engine rules and use the ROK Cup Bridgestone (YLR) slick tires. Listening to the racers suggestions the WKA Trustees voted to change its format to better accommodate an earlier finish on Race Day Two. 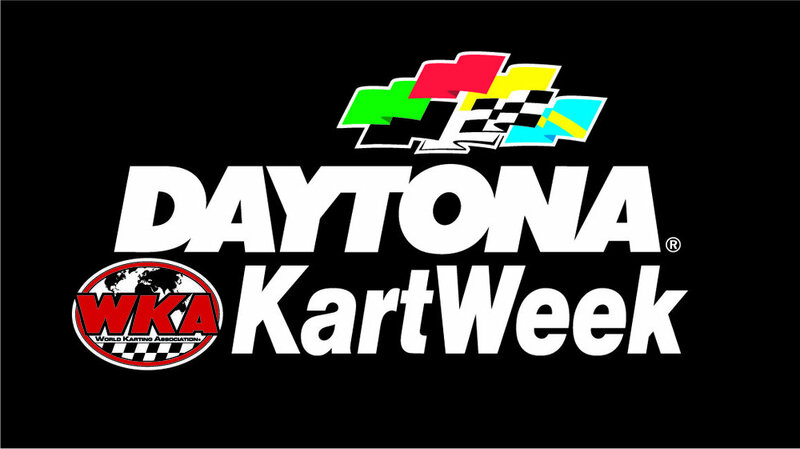 However, because of the short amount of daylight during Daytona Kart Week and the pit closing curfew, Daytona will follow Race Day Two format that consists of Qualifying, Heat and Final both race days. WKA will extend the laps of the Heat and Final races. The lineup for the Final both days will consist of points from Qualifying and the Heat race each day to set the grid for the final. Day 1 and Day 2 are separate race days and don’t impact each other. The balance of Winter & Manufacturers Cups will consist of Race Day 1 being the same as 2016 with Qualifying, Heat 1, Heat 2 & Final with Race Day 2 consisting of Qualifying, Heat and a Final (extended laps from day 1) with the lineup for the Final of Race Day 2 consisting of points from Qualifying and Heat. Again two separate race days that don’t impact each other. It should be noted WKA Practice schedule will not be changing. WKA will host its annual Manufacturers Cup Champions Awards Banquet for the 2016 Season on December 27th @ 7:00 pm hosted at the Daytona Beach Resort and Spa Hotel. Discounted room rates can be found by contacting the hotel directly 1-800-654-6216 or the link below. “WORLDKAR” has to be put in the group code when doing it online and must be mentioned if doing it via phone.